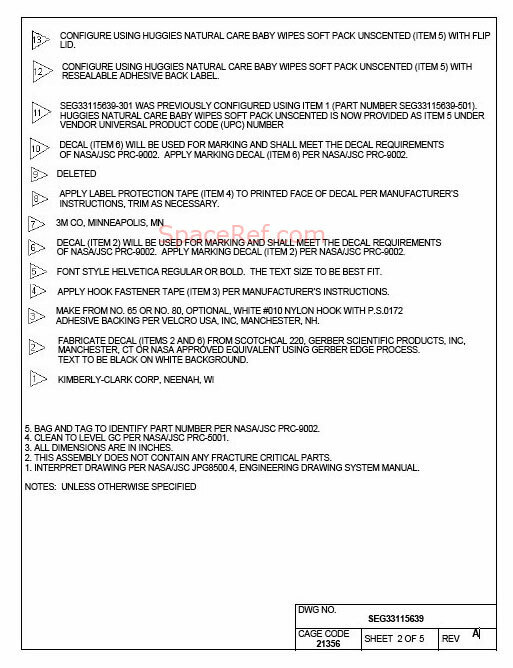 Editor's note: There has been some recent interest in the sorts of diaper products astronauts use in space. 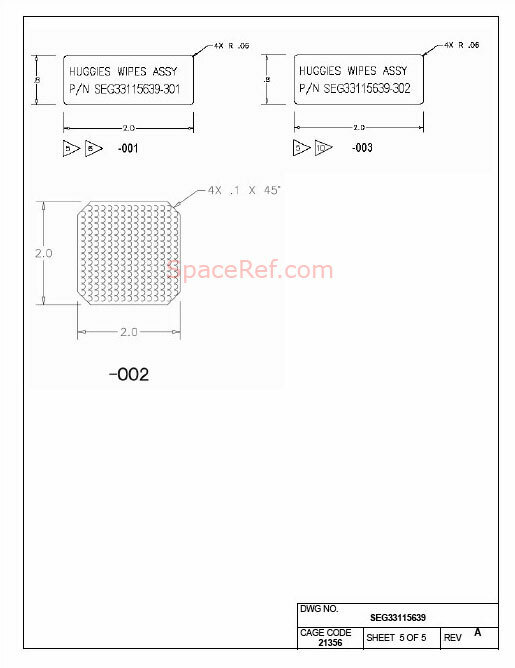 In addition to full sized adult diapers used during Space Shuttle launches and landings, and spacewalks, there are diaper related products on board the International Space Station (ISS) as well. 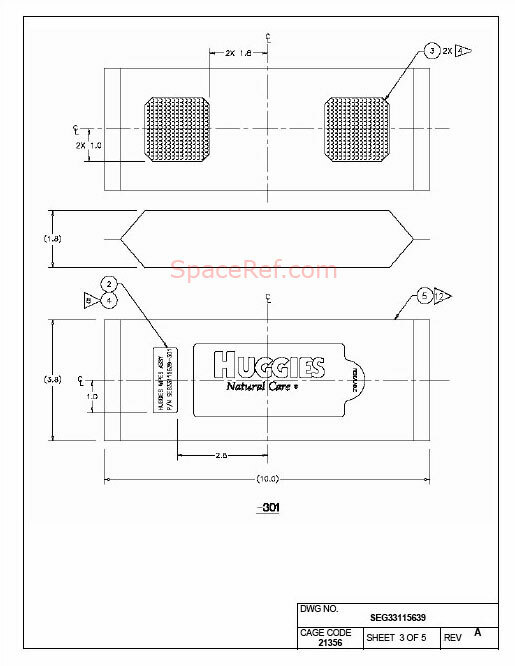 As was noted in a previous article in December 2005, NASA flies Huggies brand products aboard the ISS. This practice continues today. As you will note in this image [above - left] from Expedition 14 taken in February 2007, cosmonaut Mikhail Tyurin is shown in the Zvezda Service Module of the International Space Station. In the left hand center of the picture, attached to Zvezda's cabin wall, is an orange and green package labeled "Huggies". These are not diapers, but are cleaning wipes sold for use on babies. They work great in space too! If you look in the lower right hand corner of this Expedition 12 image (and this image) [right] you will see what also appears to be a package of a Huggies product wedged upside down behind a handrail. This is a package of cleaning wipes. And, if you look at this image [left] taken during Expedition 13 in 2006, you will see another package of space-certified Huggies to the left of astronaut Jeff Williams. As was the case with the previous on-orbit Huggies sighting, Jeff's Huggies feature the comforting image of Winnie the Pooh. A number of readers - most of them parents - confirmed that these packages are indeed cleaning wipes. Several other people who I spent time with in the arctic on Devon Island also chimed in. You see, these are a common item you take with you when you are going to live in a tent for a month and showers are hard to come by. For the record, I prefer "Splash N' Go" made by Kleenex. Reader note: "Huggies are popular with the troops as well. I used them to polish my boots and for general cleaning tasks when water was not available. 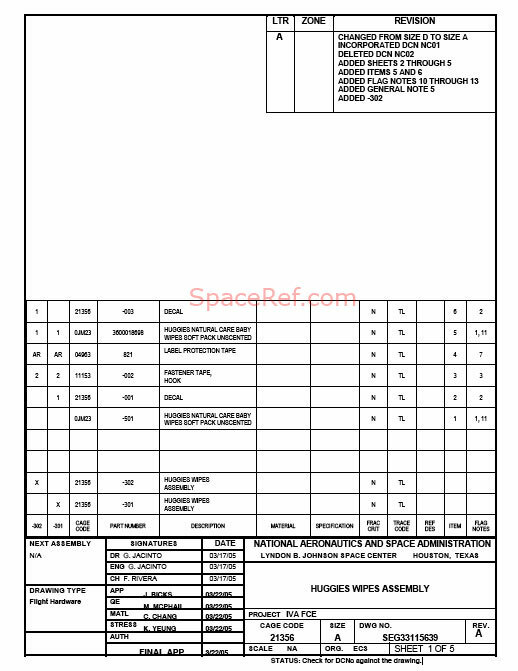 [link]"
Of course, NASA has to have documentation for everything that flies in space - and the Huggies are no different. 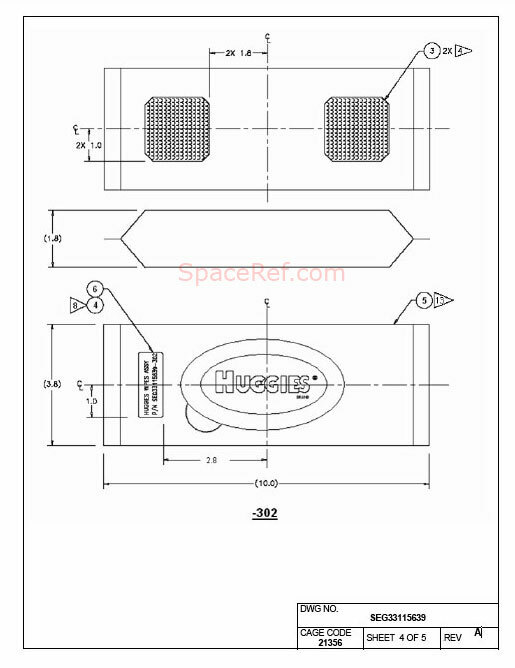 These NASA drawings specify the container that holds the Huggies in space. Curiously, I don't see any specification for the Winnie the Pooh images that appear on the container in this photo.